Burmington Barn in Burmington, near Shipston-on-Stour sleeps 2 people. In the quiet village of Burmington, tucked behind the owner’s home, Burmington Barn offers the perfect location for a peaceful, romantic break. Just a short drive from Stratford-upon-Avon, this detached holiday property offers an idea base from which to discover the local attractions and places of historical interest including Shakespeare’s Birthplace and Anne Hathaway’s Cottage, or to enjoy a theatre break visiting the renowned Royal Shakespeare Theatre. On the North Cotswolds’ border, many Cotswolds towns and villages including Broadway, Chipping Camden and Bourton-on-the-Water are within an hour’s drive. The Cotswold village of Long Compton, with its top quality pub and restaurant is only 4 miles. Take a walk to the market town of Shipston-on-Stour, 3 miles, for places to eat, drink and enjoy the local produce. The cathedral cities of Worcester and Oxford are both within 40 miles, and are both worth a visit along with the famous Silverstone Racetrack and Royal Cheltenham Race Course. All on one level, the barn has been well renovated and is decorated to a very good standard. Also perfect for guests who wish to bring a pet as there is use of an enclosed paddock and exercise area for dogs. Shop and pub 1 mile, restaurant 3 miles. All on ground floor: Living room with tiled floor. Kitchen with tiled floor. 1 double bedroom. Bathroom with corner bath, separate shower cubicle and toilet. Electric heaters, electric, bed linen and towels included. Travel cot. 52’’ Freeview TV. DVD. Electric cooker. Microwave. Washing machine. Dish washer. Fridge/Freezer. Wi-Fi. Small enclosed patio with sitting-out area and furniture. Bar-be-que. Parking (2 cars). Dog exercise area. Welcome pack. Pets free of charge. No smoking. Easy walking access. Holidays run from Friday to Friday. For a better idea of where Burmington Barn is, you can see Burmington Barn on the map below. Burmington Barn is in Warwickshire; should you be on the lookout for a special offer, you can find all the special offers in Warwickshire. It's always worth checking to see what is on offer at the moment. 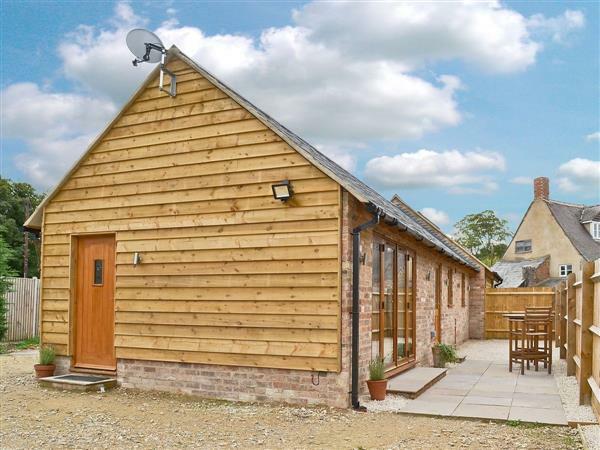 Do you want to holiday near Burmington Barn (29049), you can see other cottages within 25 miles of Burmington Barn; have a look to find your perfect holiday location.